Weddings, Namings, Renewal of Vows Ceremonies and Funerals in Hertfordshire, Buckinghamshire, Bedfordshire and Greater London.Wedding Celebrant Bernadette French. Founded and owned by Creative Celebrant, Bernadette French LLB(Hons), ‘Precious Moments Ceremonies’ offers an exciting and innovative approach to all kinds of ceremonies, specifically tailored to suit the requirements of her clients. Bernadette gained a wealth of experience in her career within both the private and public sectors, including many years in the Registration Service for Births, Deaths and Marriages. Bernadette is a member of the Fellowship of Independent Celebrants. From Weddings, Naming Ceremonies, Renewal of Vows and Funerals, to Special Occasions such as Commitment Ceremonies, Milestone Birthdays and Retirements, Bernadette will craft a unique and truly memorable occasion. Most importantly with her warm personality she is able to engage with people from all walks of life. Her passion for uncompromising and meticulous attention to detail is the very cornerstone of Bernadette’s business. Every ceremony reflects the individuality and personality of each client. Understanding that location and venue is a key factor for your special day, perhaps a stately home, hotel, or marquee in your own garden, Bernadette will work with you to plan and organise every detail. ‘Precious Moments Ceremonies’ is based in Hertfordshire, a central location ideal for serving the South of England, including Bedfordshire, Buckinghamshire, Berkshire and Greater London. 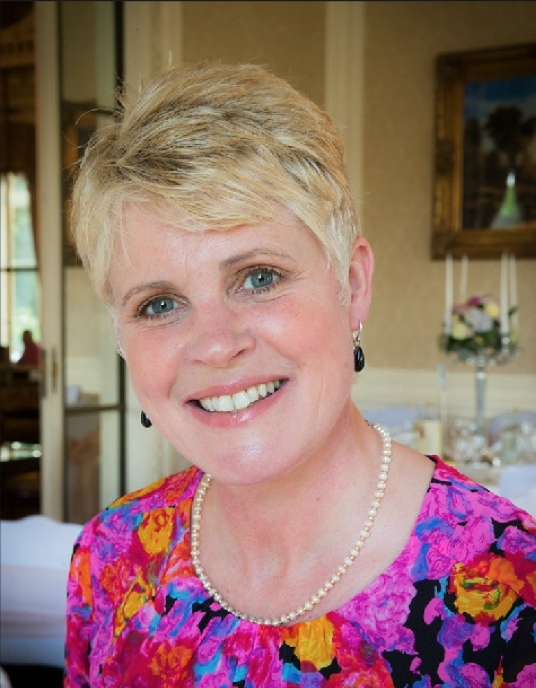 In addition, as a Professional Celebrant, Bernadette creates and presents ceremonies throughout the country, and has also performed ceremonies abroad, including New York. Appreciative of the multi cultural world in which we live not only can Bernadette’s ceremonies incorporate religious and cultural beliefs, but can also be written and presented in a foreign language. Copyright Precious Moments Ceremonies © 2014 - 2019. All rights strictly reserved. Copyright Precious Moments Ceremonies © 2014 - 2019.